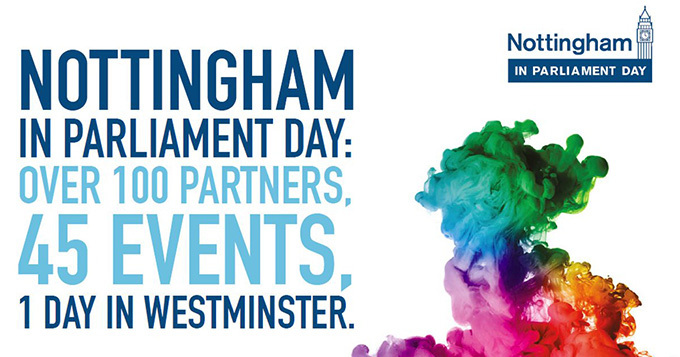 At the first ever Nottingham in Parliament Day, the Science Council hosted an event to celebrate Nottingham’s scientific heritage: Nottingham Science City: Developing STEM Skills of the future. At the event, Lillian Greenwood, MP for Nottingham South was presented with a 3D model of her head, produced by students from Nottingham University Academy of Science and Technology from a scan taken a few weeks earlier. While Vernon Coaker, MP for Gedling, had his own scan taken. Science employers from across the city showcased the initiatives and innovations that will develop the future STEM workforce; exhibitors included Siemens, EoN, University of Nottingham, Nottingham Trent University, Nottingham Stemcity, NUAST and the ESPRC. The Science Council was also proud to announce that both the University of Nottingham and Nottingham Trent University have achieved Employer Champion status, in recognition of their commitment to developing their scientists. Find out more about how the Science Council is working with higher education.